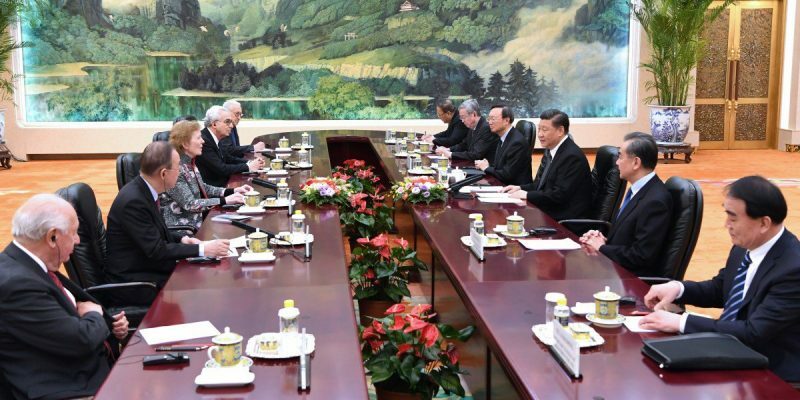 The delegation of The Elders met with Chinese President Xi Jinping in Beijing, China on April 1st, 2019. 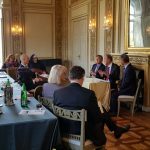 The delegation consisted of Chair of The Elders and former President Mary Robinson of Ireland, Deputy Chair of The Elders and BKMC Co-chair Ban Ki-moon, and former President Ernesto Zedillo of Mexico. During the meeting, President Xi pointed out that the world today faces profound changes unseen in a century, while the prospect of international cooperation, solutions to global challenges and the future of human society were being thought on by more and more insightful people. The Elders delegation expressed that China has played a responsible and constructive role at a crucial moment when multilateralism is faced with challenges, adding that China has adhered to the purposes and principles of the United Nations Charter and taken an active part in the cause of peace and development in Africa. 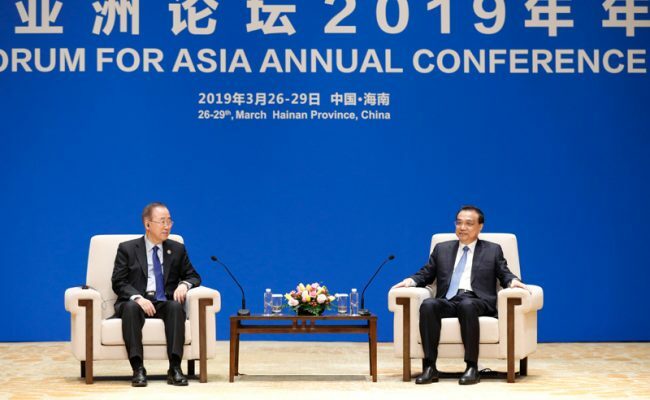 On March 27th, 2019, Ban Ki-moon who serves as Chair of the Boao Forum for Asia (BFA) and the BFA Board of Directors met with Chinese Premier Li Keqiang in Boao, China. 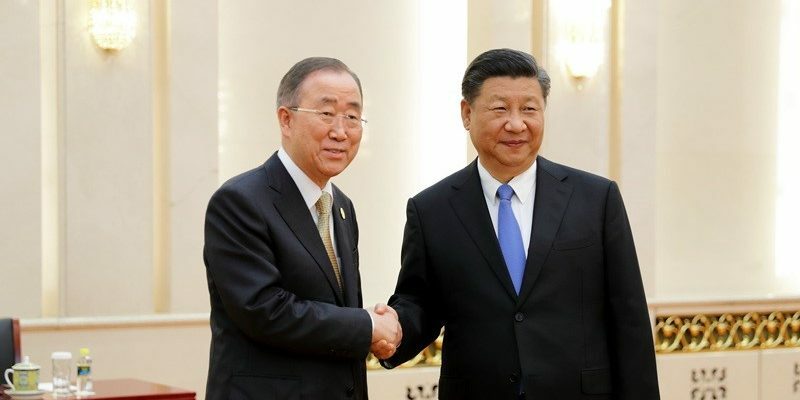 Ban Ki-moon, Speaker of the House of Representatives and former President Gloria Macapagal Arroyo of the Philippines, former Prime Minister Viktor Zubkov of Russia and other members of the BFA Board of Directors congratulated China on the 70th anniversary of the founding of the People’s Republic of China and said China’s development achievements are unparalleled in human history. 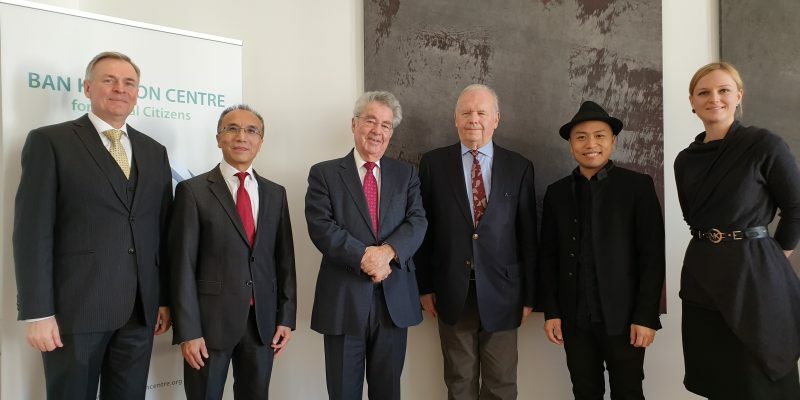 On January 8th, 2019, Co-chair Heinz Fischer and CEO Monika Froehler of the Ban Ki-moon Centre for Global Citizens welcomed Ambassador Friedrich Stift of the Austrian Embassy in Beijing, Ambassador LI Xiaosi of the Chinese Embassy in Vienna, and Professor Gerd Kaminski of the University of Vienna to the Centre. 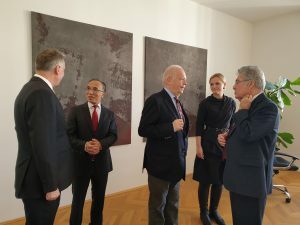 The Ambassadors and former President of the Republic of Austria discussed ways to develop the international relations between Austria and China and to achieve sustainable development under the consultancy of the Professor. 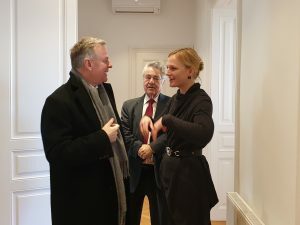 Professor Kaminski is a Chinese affairs consultant to the Austrian Foreign Ministry who has also been the head of the Austro-Chinese society since 1971 and of Boltzmann institute for Chinese and southeast Asian research in Vienna since 1978. Ban Ki-moon Centre for Global Citizens signed a tripartite MOU with Yeosijae (Future Consensus Institute) and Tsinghua University at Tsinghua University on the margins of the 2018 Future Consensus Forum in Beijing, China on November 5th, 2018. 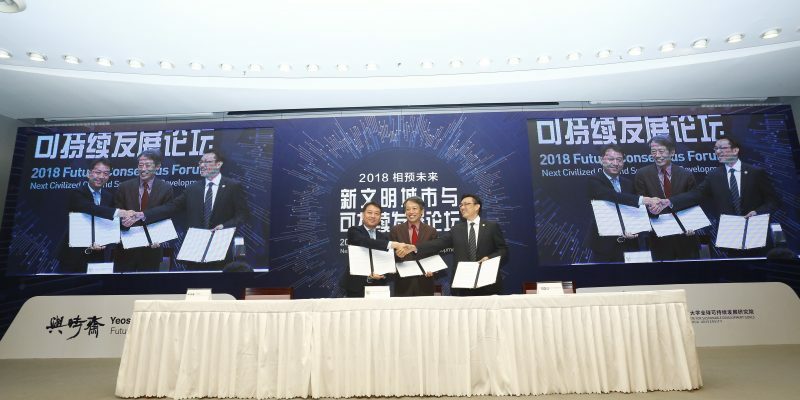 The three institutes agreed to collaborate on research projects and academic exchanges related to future city and sustainable development, acknowledging areas of common interest in promoting research, crossing sectors and disciplines, and advancing solutions to global challenges. After the MOU signing ceremony, BKMC Co-chair Ban Ki-moon delivered a special lecture on the SDGs to the Tsinghua University students. 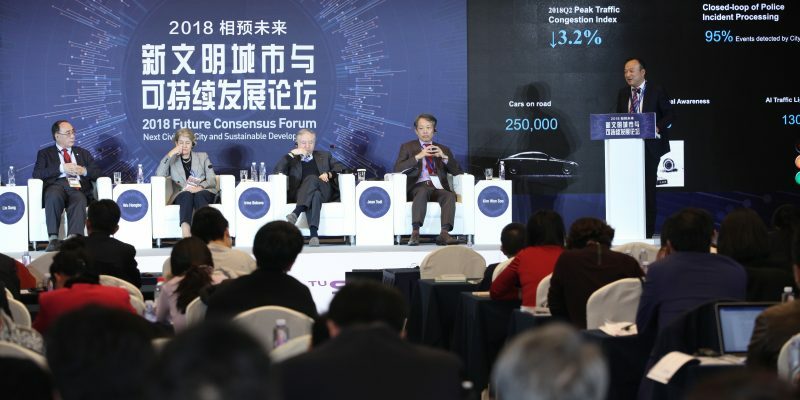 “2018 Future Consensus Forum: Next Civilized City and Sustainable Development” was co-organized by BKMC partners Yeosijae (Future Consensus Institute), Tsinghua University, and Institute for Global Engagement and Empowerment (IGEE) in Beijing, China on November 3-5th, 2018. 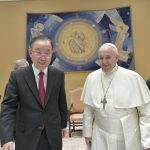 The Ban Ki-moon Centre for Global Citizens’ Co-chair Ban Ki-moon delivered a keynote at the opening session of the forum, highlighting the importance of sustainable cities both as the greatest inter-connected challenge and the key enabler of the SDGs. It was received with strong endorsement by the audience which included parliamentarians, mayors and academicians from across the world. Ban also addressed the issues and solutions during media interviews. Professor Myongsei Sohn of Yonsei University, who serves as Executive Director of IGEE, also participated in a panel discussion during the second plenary session focusing on the digital era and the next civilized city. The audience actively engaged in the discussions on topics including transportation in smart cities and the reinforcement of road safety, the importance of education in the field of sustainable city planning, policy decision and solidarity, and the role of technology needed for sustainable city. – share the images of a newly civilized city that will realize sustainable society led by digital advancement. 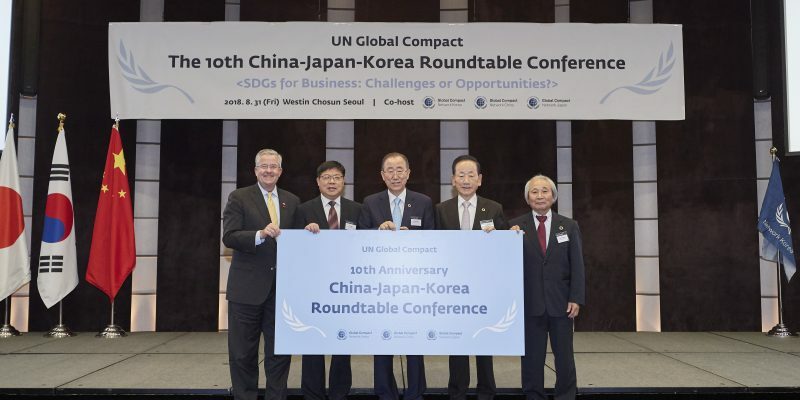 Ban Ki-moon Centre for Global Citizens’ Co-chair Ban Ki-moon delivered keynote speech at the 10th China-Japan-Korea Roundtable Conference hosted by the UN Global Compact Network Korea (UNGC Network Korea) on August 31, 2018. The conference is annually hosted by each of three countries respectively in order to facilitate discussions on the UNGC and CSR (corporate social responsibility) in Asia. 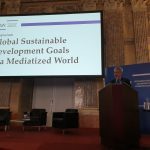 The topic of this year’s conference was “SDGs for Business: Challenges or Opportunities?”. 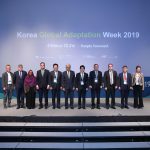 Co-chair Ban, who is also Honorary Chair of the UNGC Network Korea, praised the conference as an outstanding example of regional cooperation that helped three countries diffuse CSR and that contributed to global cooperation. He urged that the SDGs must be achieved in order to leave no one behind, to reach gender equality, to sustain people’s health, and to protect the environment. The conference featured President Dong-gun Lee of UNGC Network Korea, President Goto Toshihiko of UNGC Network Japan, President Brian Gallegher of the United Way Worldwide, CEO Gyubok Choi of Yuhan Kimberly, CEO Wu Nianbo of Suzhou Good-ark Electronics, and many other leading figures from both private sector and public sector.